Wow, what a impressive picture. Congrats on your sale, Stacy!.......Carry On! Very nice. 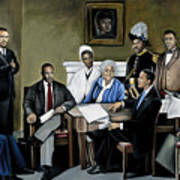 Although I honestly cannot understand why Obama is there. This is my first true oil painting and the largest piece of artwork I have done. It took me a substantial amount of time to create this painting; over 80+hours. 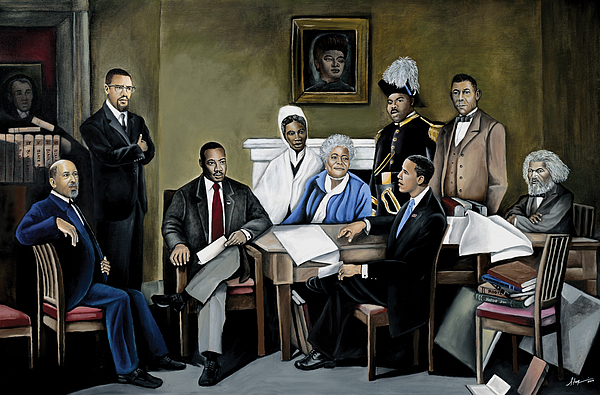 I've been planning on doing a painting like this for a long time, with influential African American leaders. I just didn't want it to be a collage of people. 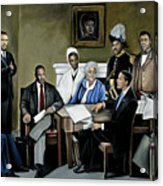 I wanted it to be a powerful and serious painting, illustrating the strong individuals in this painting. The idea for this painting developed after seeing an old Abraham Lincoln picture. 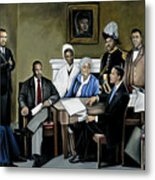 The title arose from the leaders in this painting because they all had a dream that "One Day" things would get better for African Americans.